Where Can I Find Kia Optima Sedans for Sale Near Me? Are you asking yourself, ‘where can I find new & used Kia Optima Sedans for sale near me?’ Shawnee Mission Kia offers an exceptional selection of new, used & certified pre-owned Kia Optima Midsize Sedans for you to browse and test drive in Kansas City. WHY CHOOSE THE KIA OPTIMA? A car is a car is a car, right? The Optima is Kia’s impressive response to that sentiment. This mid-size family sedan isn’t for the one-size-fits-all crowd. Sleek design meets spectacular engineering to put the competition’s cookie-cutter sensibilities permanently in every Optima owner’s rear-view mirror. If you like options, Kia’s got a surprise for you. With five trim levels, three powertrain, and two transmission options to choose from, you’ve got an exciting automotive sandbox to play in. After you make your selection, the only choice you will have left will be what to do with the money your Optima will save you at the pump. The Optima’s manufacturing team cracked the mold with their sleek body design. Once the Optima is through catching eyes and turning heads, the interior design presents drivers with a wonderland of spatial and technological delights custom-ordered for people who want their automotive comfort and convenience in style. The Optima has been racking up the accolades for its popular safety features. The IIHS awarded the Optima its coveted ‘Top Safety Pick+’ while car experts have raved about the Optima’s impressive collection of safety technology. When it comes to automotive safety, the Optima is Kia’s crown jewel. 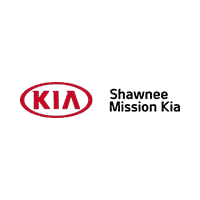 Stop by Shawnee Mission Kia today to test drive a new, used, or Kia certified pre-owned Midsize Sedan in Kansas City. Our knowledgeable team of Kia specialists are standing by to help you find the perfect vehicle. Browse our online inventory, drop by, or call (844) 899-7927 now to learn more. We look forward to serving you!